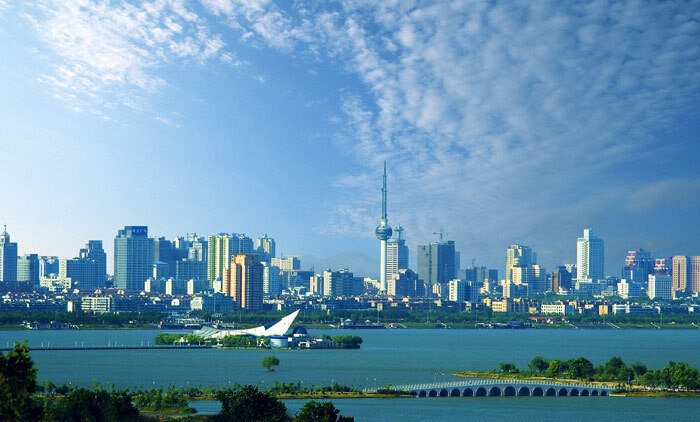 Often confused with the similar sounding ‘Suzhou’, Xuzhou is a major city in Jiangsu Province lying almost halfway between Beijing and Shanghai. Despite being a major national transport hub and an important link between north and south China, it’s little known outside the nation’s borders. Though its rich cultural relics, beautiful gardens and important role in Chinese history have helped it maintain the title of National Famous Historical and Cultural City since 1986. 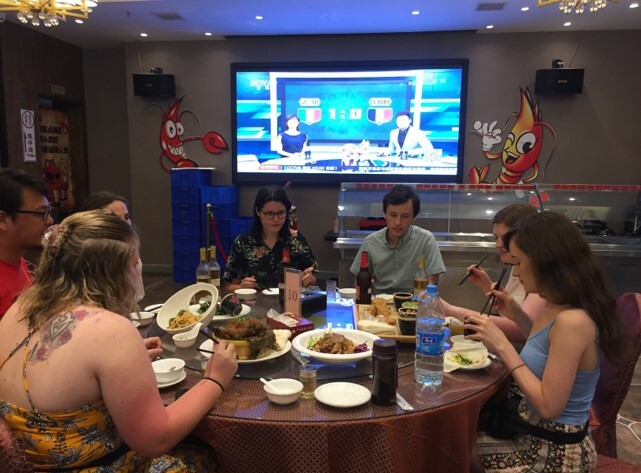 Aside from history, Xuzhou has a lot to offer; it’s bustling city centre is home to a number of local street food sellers, modern shopping malls and a modest but good selection of western restaurants and bars. If you’re looking for a modern Chinese experience away from the big metropolises, Xuzhou is a hidden gem worth considering. Our Xuzhou placement offers you the chance to join a truly international team in an ‘true’ Chinese city, with one of our longest-standing partner organisations. Meiting and Morgan, founders of the organisation, are a local couple who share our passion of promoting English education and cultural exchange in China. Their cultural understanding and combined total of 8+ years’ experience training and working with foreign teachers helps them fulfil their aim of ‘bridging the gap between Chinese and Western culture’. Meiting and Morgan work with countless schools across the city of Xuzhou, to provide them with passionate foreign teachers who have the chance to make a real, lasting impact. Together with Meiting and Morgan, we aim to find you a primary, middle or high school teaching placement to suit your goals and experience. 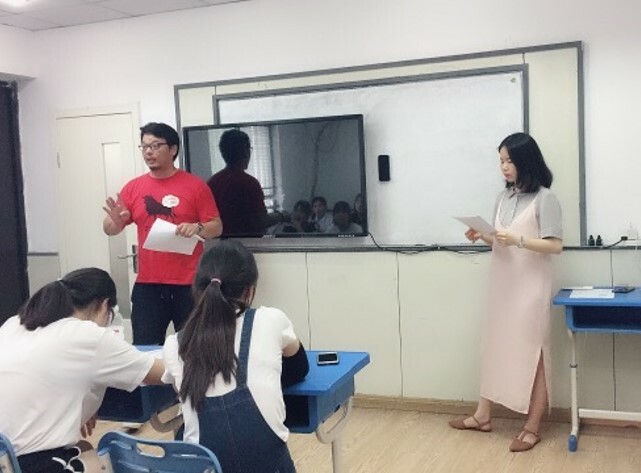 The pair dedicate themselves to training and supporting their foreign teachers in everything from day-to-day life in China, to lesson planning and classroom management. They provide post-arrival training programmes and regular teaching workshops throughout the year to ensure both you and your students get the most out of your lessons. Whichever placement you choose, you’ll work around 25 hours per week, from Monday – Friday. Your main focus will be on improving students’ oral English, but you’ll have plenty of freedom in how you teach. Outside of work, you’ll be invited to regular social events with the organisations’ other foreign teachers to really help you feel at home. 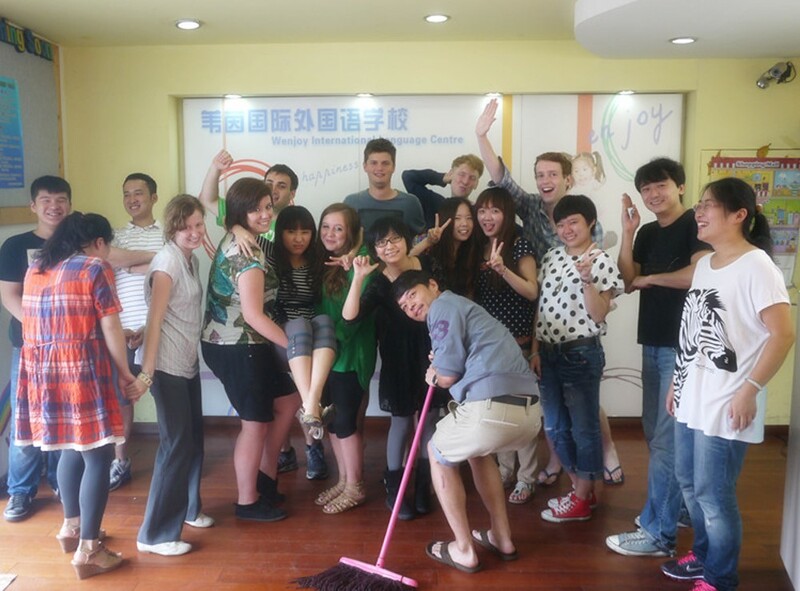 Over the years, many of our teachers have chosen our Xuzhou placement and haven’t looked back. In fact, many have extended their contract thanks to Meiting and Morgan’s warm hospitality and quality teaching placements. Salaries in Xuzhou range from between 5,000 – 8,000 RMB per month, depending on experience. This might not sound like a lot, but with free accommodation and a low cost of living it goes a long way! Our Xuzhou placement offers you free accommodation and covers household bills for the duration of your stay. This is usually a private room within a shared apartment, equipped with all the essentials (air conditioning, washing machine, western toilet) to make your stay comfortable. Apartments are close to the school, so you won’t have to commute far at all. 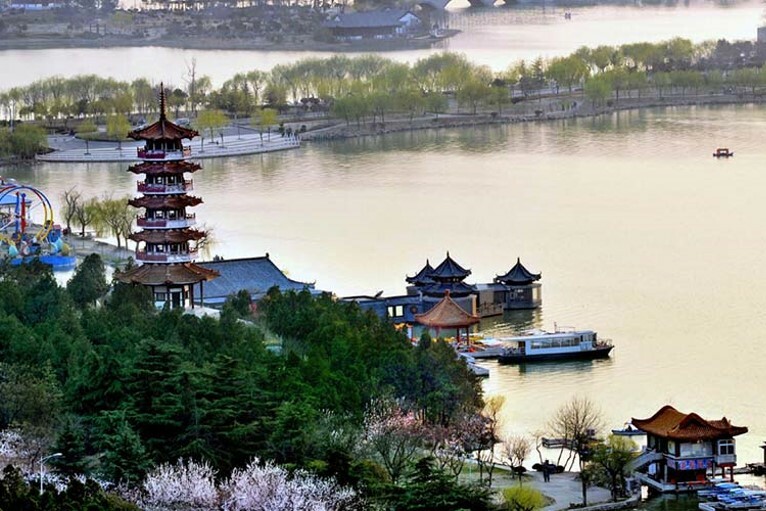 As one of China’s National Historical and Cultural city, Xuzhou has a lot to offer in terms of things to see and do. Museum of Terracotta Warriors: Xuzhou’s most impressive sight is not to be confused with the famous Museum of Terracotta Warriors and Horses in Xian, which represent the Qin Dynasty. In fact, this museum is home to the only terracotta army of the Han Dynasty in China. Consisting of two pits, the warriors all have different expressions; some laughing, crying, frowning or contemplating. Excavated in 1984, this marks a significant archaeological discovery, and is well worth a visit! 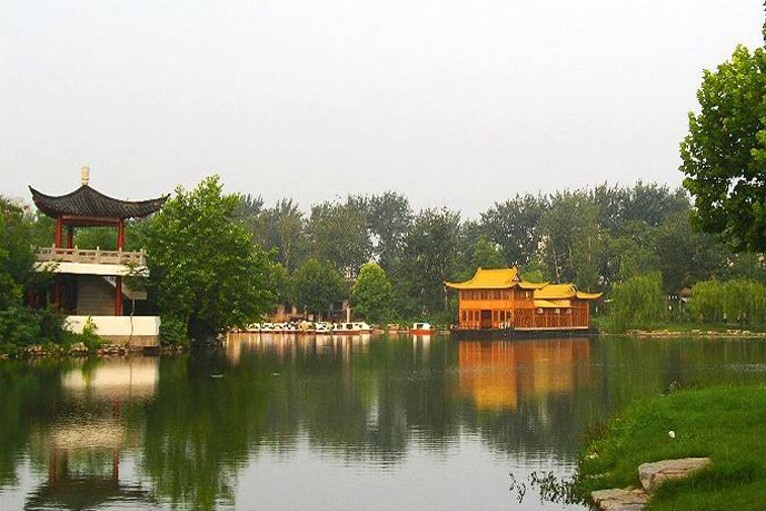 Xuzhou Han City: Xuzhou Han City comprises four main scenic areas; the Imperial Palace, the Imperial City, the Marketplace and the Martial Arts Practice Area. The complex reflects the architectural style of the Han Dynasty (206 BC-220AD) and gives an interesting insight into this period of Chinese history. Quanshan National Forest Park: This beautiful scenic area is home to many different animal, plant and bird species. Covering a large area around the city, it makes a great getaway from the hustle and bustle of the city. Yulong Mountain: Located in the south of the city, Yulong Mountain stands at 142 meters above sea level and offers a stunning view from its peak of the Yulong Lake and Yellow River. The mountain is known for its natural beauty and historical relics like the Xinghua Temple. Xuzhou villages and counties: Xuzhou is home to many unique villages that are interesting to visit. The Chinese Chess Village in Pixian County is home to many good chess players, Peixian County is the mother town of martial arts, and the Chinese Folk Custom and Culture Village, is an affluent and civilized village where you can appreciate the orderly farmyard and folk performances. Fish Stewed in Mutton (Yang Fang Cang Yu): Over 4,000 years old, this dish is thought to be one of the first Chinese dishes, though it’s changed a lot since its creation. It’s made by mixing fish with various seasonings and stewing them together in the belly of a sheep. The dish is extremely popular among locals, and is both tasty and nutritious became popular among the local people and still remains so. Bawang Bie Ji: This dish was created by Xuzhou people in order to commemorate certain Chinese historical figures. The dish is made by steaming turtle and chicken in a pottery pot with fresh soup, wine, shallots, hams, mushrooms and other ingredients. It is famous for the crisp meat, mellow and fresh soup as well as its unique appearence. Dongpo Hui Zeng Rou: This dish is made by selecting meat from the ribs of streaky pork, which are cut into big pieces and then stewed with various seasonings in fresh soup. The result is crisp, tasty meat that’s full of flavour. Sha Soup: This soup was named as ‘the First Soup under the Heaven’ by Emperor Qianlong of the Qing Dynasty. It’s made by boiling pheasant meat, pigs’ bones and pork together with shallots, gingers and other seasonings and cooked in a low oven. The soup is often eaten together with thin local cakes and has become one of the most popular breakfasts for Xuzhou people. Though Xuzhou is a more traditional, historical city, people still enjoy a modern lifestyle and the city is home to several bars, clubs, cinemas and shopping malls. Most of the city’s nightlife is located at Hubu Hill, a pedestrian street where you’ll find popular bars like Cool Show Bar and the E Bar. If clubbing isn’t your thing, Gupeng Square provides a great alternative. Here you’ll find a music and light fountain show that’s very popular among the locals. Occasionally, local opera and dance performances take place in the square, which are great to see. The city is also home to many traditional teahouses, cinemas and shopping malls. In an attempt to boost the city’s nightlife, Xuzhou has begun hosting the annual Pengcheng Beer Festival in August, during which time people come together to drink beer and celebrate. 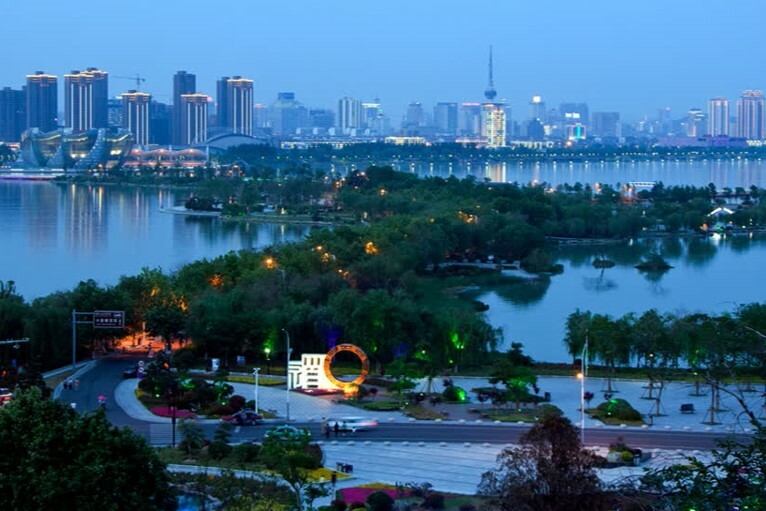 Interested in teaching in Xuzhou? Find out more about our State School Teaching Programme, or apply now to begin your adventure in this unique and historical city!